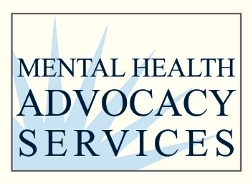 James Preis, Executive Director, and Nancy Shea, Senior Attorney, of Mental Health Advocacy Services (MHAS) will speak at our regular monthly meeting (Monday, April 21, at 7:30 p.m., First Lutheran Church, 2900 Carson in Torrance) about mental health parity in insurance. Mental health parity is a critical issue. It is the recognition of mental health conditions as equivalents to physical illnesses. Under mental health parity laws, insurance companies will not be able to limit or treat differently benefits for mental health treatment. The Affordable Care Act potentially affects benefits of health care insurance for persons with a mental illness. You don’t want to miss this meeting. MHAS is a private, non-profit organization established in 1977 to provide free legal services to people with mental and developmental disabilities. 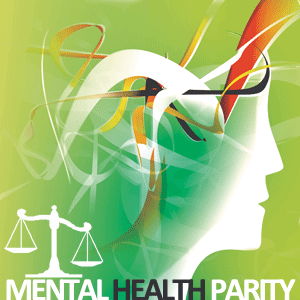 MHAS is sponsored by the Los Angeles County Bar Association, the Beverly Hills Bar Association, and the Mental Health Association in California. MHAS assists both children and adults, with an emphasis on obtaining government benefits and services, protecting rights, and fighting discrimination. MHAS also serves as a resource to the community by providing training and technical assistance to attorneys, mental health professionals, consumer and family member groups, and other advocates. In addition, MHAS participates in impact litigation in an effort to improve the lives of people with mental and developmental disabilities. Our families have benefited greatly from their education and advocacy efforts on SSI and look forward to their support in ensuring there is mental health parity in insurance programs. A Caring & Sharing support group for family members will be held in the Fireside Room at 6:30 p.m. before the general meeting.